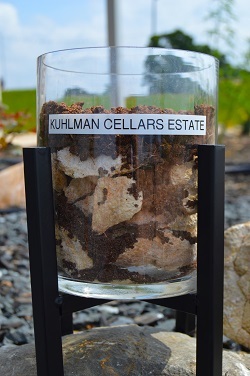 Kuhlman Cellars: What's in a Name? I was leading a tasting the other day and someone asked where our wine names came from and who named the wines. The very short answer: me! The longer answer will be revealed in two parts: our winery name and then our wine names. When Jennifer and I “bought the farm” back in 2010, we specifically sought a place both peaceful to our souls, but also furthering our family goal of a personal vineyard. The 34 acres we bought has a beautiful 10 acre pasture but also some hills and a small valley. 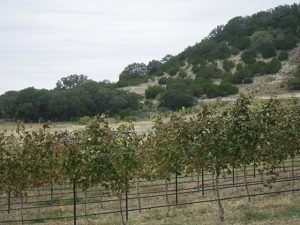 Kuhlman Creek forms on this property, which is sited at the northern ridge of the Pedernales River Valley. As we face south, we have a beautiful view stretching 4 miles and several hundred feet gradual drop down to the river. It’s stunning and peaceful. When we launched the winery, we struggled with a name. We didn’t want to name it after our family, because the winery isn’t about us. Further, we didn’t want to distract from our amazing wines and the meaningful experience of food and wine pairings. Some of you know we originally thought Kuhlman Creek Cellars, but dropped “creek” when we realized how many places already have a “creek” as part of their name! Kuhlman is anything but a follower or part of the crowd - we’ve completely redefined the meaning of wine and food pairings as related to wine tastings. Back in 2010, the creek was a live water stream and had flowed seemingly uninterrupted for years, even through the terrible 1950’s drought. Our oldest son even caught some small perch in the creek, much to my surprise and a lost bet! However, the extreme drought of 2011-2013 changed that and the creek dried up. It’s flowing again on a seasonal basis, though the importance of water on all of our ecology can’t be understated. The Texas A&M Forest Service estimates approximately 300 million Texas trees perished because of the 2011 drought! The winery is named after water - the foundation of life. Our wine names are about the dirt in which the vines grow, and their story will be told in a later blog. When we add in our unique Texas weather and our yearly labor of love in the vineyard and cellar, the result is wine. Really great wine! I know I feel this way every new year, but we’ve turned around, took a breath, and have already flown into February! That’s exciting though because that means we’ve also enjoyed one of our favorite events: the Annual Super Bowl Tailgate party! That day was so much fun with wine and incredible food. And, we won the weather lottery - AGAIN - with stunningly perfect weather. It’s always risky in February in Texas, but we all adapt and do what we do. Another reason I look forward to February: it’s time to think about our new vintage red wine blends! It’s an exciting and anticipatory time when we start talking about blends, volumes, and goals. It’s more enticing when Benedicte comes around with sample bottles and graduated cylinders. Our red winemaking process follows a general pattern: harvest in the fall to make red wine in individual lots from our different vineyards. Let the wine begin maturing in tank and barrel until February the following year, when unique terroir character becomes more evident. Bénédicte then begins her blending magic crafting the wines we’ve come to love as well as potential new. By the end of March, we typically settle on the blends. 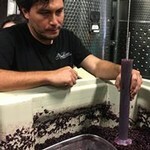 By June, the blending is typically complete and the wines then rest in barrel till bottling. 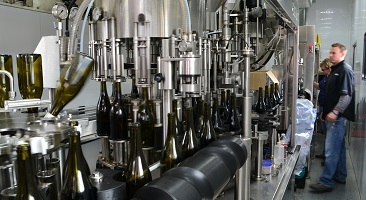 Bottling is a long process guided by the wine’s maturation progress. Our first red bottling tranche typically happens in June, two years after harvest. 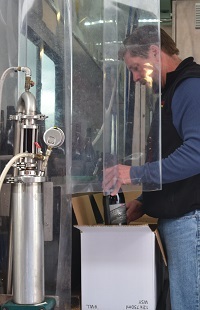 A second bottling typically happens around 28 months post-harvest. We now have some wines which we are aging even longer to see how they develop in the barrel. Once bottled, the wines then rest anywhere from 4 to 12 months before release. It is a long process! For 2017, we have some familiar red wines in barrel: Alluvé, Barranca, KanKar, Merlot, Zinfandel, Gypsum and Malbec-Merlot. Excitedly, we are producing several new wines, including: a Brunello Sangiovese, a Bordeaux Blend (Cabernet, Merlot and Malbec) as well as a Newsom Vineyard blend (Tempranillo, Cabernet, Malbec). These new wines are amazing, already complex, and teasing and testing the patience of us all. Bottling of these 2017 red beauties starts in June, but some of these wines might not be bottled for another couple of years. Patience! We don’t yet know the blends for 2018… ask us in a couple of months. We do know the Brunello will in the line up along with our regulars. What else awaits? We will just have to wait and see… there is no speed in winemaking, just the careful cadence of nurturing the vineyard and wine. See you at the estate soon! 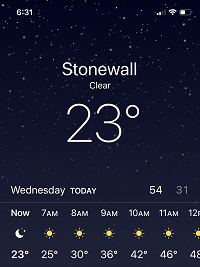 23* on November 14 brought the 2018 viticulture year at our three Fredericksburg, Texas vineyards to a fast frozen end! 2018 was a challenging year in many respects, though really just another typical grape growing effort in Texas. I often describe Texas viticulture as one of survival. We have many risks to navigate: springtime frost, hail, disease, animal predation and "tropical rain events" (e.g., Hurricanes). Any year we harvest fruit is a success! 2018 started a little later than 2017, with the vines waking up in early March rather than late February. We avoided springtime frost and by April, growth was fast and abundant as the vines burst forth with the energy of Spring! We had a very hot and dry growing season. 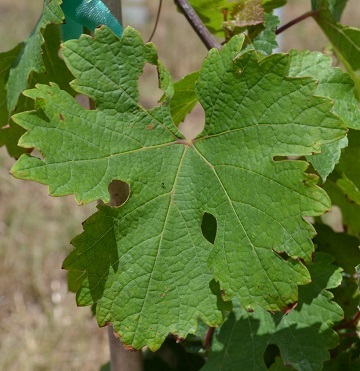 The heat spike of June into July proved challenging as the vines struggle in excessive heat. The Estate Carignan, in prticular, seemed to suffer. The warm weather though, generally had the vines progressing through their maturation efforts quickly. The estate fruit came in beautifully! 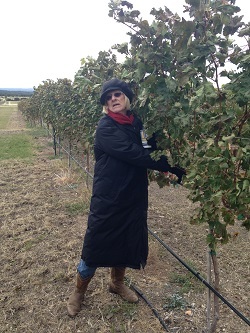 We were pleased to get the first harvest off the Mourvedre in Block 1. This will be part of the estate Kuhlmanation Rose. We also welcomed the first ever harvest from our partner vineyard at Barons Creekside inside the city limits of Fredericksburg. This Petite Sirah vineyard is developing beautifully. Finally, we were relieved to harvest fruit at Cobb Family Vineyard again, after the racoon predation of 2017. 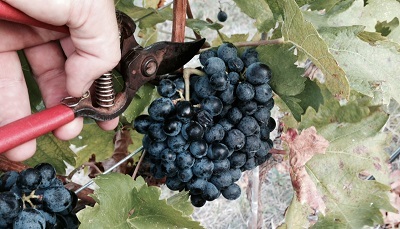 We took the last fruit from the estate Carignan block 5 at the end of August. The fruit was beautiful. We harvested just in time too, as Texas weather rotated to a very wet early fall! Keeping the vines healthy with all the rain was a challenge - the muddy vineyard made it tough to enter either on foot or tractor! Yet, the team managed and the vines made it through - and are looking great for next spring. After the first freeze on November 14, the vines quickly went to sleep. As we walk the vineyards, we see the remnants of the season, including the occasional late developing cluster, now frozen in time. Texas viticulture isn't easy and it's never predictable. However, when successful, we are rewarded with distinctly unique, quality driven wines. We look forward to sharing the new vintage with you... but only when the wines are ready. For now, practice patience! Carignan is a red wine grape known for producing well structured, dry red wines, yet little seems to be written regarding this “under the radar grape”. The truth is, it has significant prominence in both the old world and new world and it is more commonly blended in everyday red wines than one might think, despite not gaining much press. Pronounced “care-in-yawn”, it is a powerful and opulent grape known for deep and concentrated color, bold tannins and high retained acidity. This is no wimpy fruit; it is structurally sound and offers tremendous presence, especially when utilized as a primary blending grape. For those of you not familiar with this grape, just imagine if the well know Merlot and Syrah grapes were to mate, the best qualities of each of those varieties are similar to what Carignan showcases. The variety is presumed to be from Spain originally and is still prevalent in Catalonia, Spain. It is also well known in southern France, from the Languedoc-Roussillon region in particular. California has been growing and blending Carignan for decades and there are mature Carignan vines producing fruit in the Texas High Plains. This grape variety needs to be cultivated in relatively warm and dry climates, as it can be prone to powdery and downy mildew and requires a warm growing season to achieve proper ripeness. 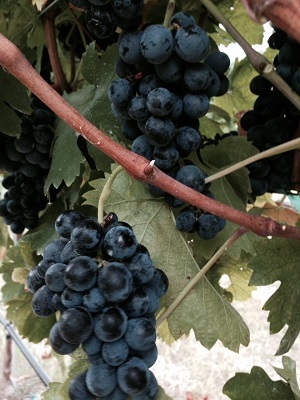 The vines tend to be vigorous and must be well managed to produce quality, concentrated fruit. Having said that, Texas seems like a pretty great place to grow Carignan. 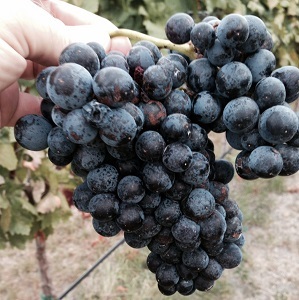 At Kuhlman Cellars, we originally planted Carignan in our family experimental block in 2012. We believe this is the first planting in the Fredericksburg AVA. We also believe in its potential as a possible backbone grape for our blending family. It provides a well-balanced yet massive backbone if crop yields and vine canopy are well managed. For those of you who have tasted the 2012 Barranca, you know exactly what I mean. Wines with finesse, power and character come from these interesting blends. We also planted Carignan in our estate vineyard in the Texas Hill Country in 2015. Our largest block, Block 5, with approximately 2.3 acres of Carignan, will be producing fruit in the coming years on the Kuhlman Cellars Estate property. Our usually dry/hot summers, as well as our clay topped limestone soils in central Texas provide a suitable environment for harvests of intense, ripe fruit from our vineyards, so the future of Carignan in our wine program is exciting! Let’s celebrate the wine life, Vina Vita, and savor everything that is… Carignan. For those of you who’ve recently visited the winery, you may have taken note of the new vineyard and the growing vines. With all the rain, we have a wide range of growth! Overall at the estate, we have five different vineyard blocks ranging from just under and acre to about 2.3 acres in size. This represents anywhere from about 800 to just over 2100 vines per block. Of the five blocks, we planted 3 of them back in April representing about 3300 vines total. Block 2, just north of the winery building and the vineyard section you see when you first drive into the estate, is planted with Marsanne. Marsanne? This grape may be unknown to many folks, but we believe it holds good promise as we continue seeking the best varieties for our climate and soil. Marsanne is a white grape, thought to have originated near the town of Marsanne, France, located in the northern Rhone valley. While the name may not be familiar, white wines from Hermitage, St. Joseph, Crozes-Hermitage and St-Peray are often predominately Marsanne blends. In fact, Marsanne is the most widely planted white grape variety in the northern Rhone. Marsanne is also found in the southern Rhone valley, where it can be found in white Cotes du Rhone wines. Interestingly enough, Austrailia has the most Marsanne vines in the world, accounting for about 80% of the worldwide total. Marsanne was brought there in the 1860’s and the oldest Marsanne vines in the world are found there dating back to about 1927. There isn’t much Marsanne yet growing in Texas. 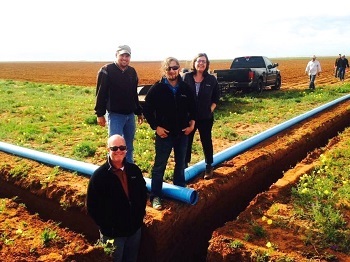 A couple of growers up in the High Plains are growing it, including VJ Reddy and Tyler Oswald. Mike McHenry has a block of Marsanne up near San Saba. We selected Marsanne for our estate vineyard because of the expected viticulture characteristics. 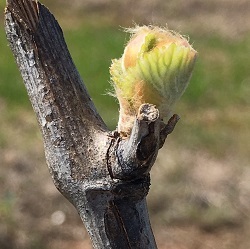 It tends to bud late in the spring, typically about 11 days later than Viognier, which is important when we are dealing with spring frost events. 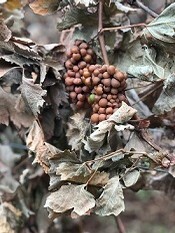 It also tends to have less disease issues, partly due to the looser grape clusters which promotes better air circulation. It also produces wines of great character and structure, something we like when considering blending with our other white grape planted in Block 4 (and sister vine to Marsanne) – Roussanne. So far at the estate, the vines are growing well in our clay-dominated soil over a limestone base. The rain so far has allowed the vines to grow without supplemental irrigation, a rare treat here in Texas. However, the high rainfall we’ve had this spring is causing its own challenges with standing water and disease pressure. Of course, we won’t get any fruit from these vines this year, though we might get a small sample in 2016. Look for a true harvest in 2017 with wine released perhaps in 2018. Also, feel free to come on out and walk the vineyards and look at these wonderful vines! There are so many factors involved in producing a quality bottle of wine, as things all begin in the vineyard and make their way to the cellar. Most of us can certainly agree, weather and soil play a very important role in winemaking. What better place to discuss soil types than in the Lone Star State. Texas itself sits on a rock shelf and depending on where you live in our wonderfully enormous state, you either have a little or a whole lot of rocks in your backyard. There is a reason most central Texans construct raised gardens, it is because you can literally bend a pick axe trying to dig into the limestone and caliche. Who wants to rent a Bobcat just to plant tomatoes? 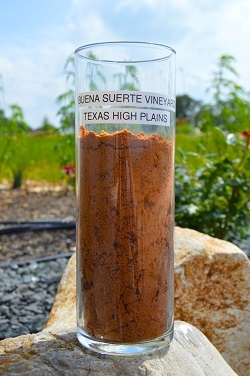 Let’s talk a little about the two largest AVA’s in Texas, and how different the soils can really be. Understand this story is not a definitive- end all lecture about the structure of Texas dirt, merely a brief explanation of some of the key differences between the soil of Central Texas, vs that of the Texas High Plains. With such a large wine style dynamic between fruit from the Hill Country vs the High Plains, there has to be something unique regarding each region right? The answer is yes, both in climate and dirt, this thing we call terroir. What is terroir exactly? Simply put, it is the all-encompassing word for wind, rain, temperature, soil, elevation, etc, of a given region. Here are some interesting facts on the two prominent regions we are discussing. Impressively the second largest AVA in the United States, it covers 9,000,000 acres (14,063 square miles) and contains 2 sub regions; Bell Mountain AVA and Fredericksburg AVA. Elevation can range from roughly 1,000 ft MSL to over 2,500 ft MSL. The weather in central Texas is typically hot during the growing season. Hill Country daily high temperatures average in the in the mid 90’s, while the nights drop into the low 70’s. The soils vary in this region, but limestone and caliche reign. 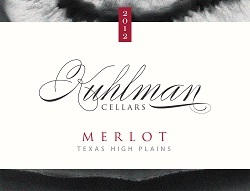 For example, the Kuhlman Cellars Estate Vineyard sits on a bedrock of Caliche with a clay topsoil. 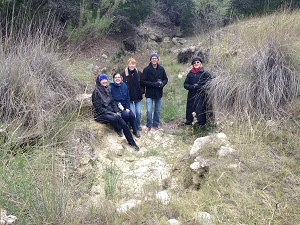 There are spots in the vineyard where the clay is only a few inches deep, you can ask our vineyard team. I cannot tell you how many vines we placed directly on white chalky rock when we planted the estate vineyard in April, 2015. It is basically “set the roots on rock, replace the soil, and wish it good luck”. Struggle little fella, struggle! The rocky terroir of central Texas is typically well draining, though the clay can cause all sorts of issues since it retains moisture. The caliche provides good mineral component to the wines made from these vineyards. This is the second largest AVA in Texas and it also contains the most vines. It’s estimated, west Texas grows 90% of the fruit grown in the state, especially in the Brownfield/ Lubbock area. The Texas High Plains is far different from the Hill Country in a few ways, the elevation is significantly higher allowing for more of that much needed diurnal shift. Elevation in this region ranges from around 2,500 ft MSL to over 3,700 ft MSL. 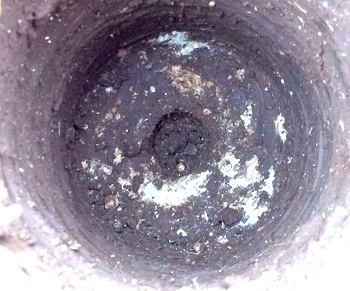 The soil is mainly composed of red dirt/sand with loam as well. There is quite a bit of rock in Lubbock, but it is typically buried under several feet of the famous red dirt. Sand is very well draining soil. Humidity levels here are typically very low, making the region ideal for grape growing, by reducing the incidence of fungus and molds. 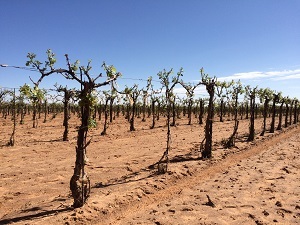 In terms of temperature, the high plains tends to be slightly cooler during the days and the nights cool off into the mid to upper 60’s, providing a larger diurnal shift which helps the grapes rest and recover overnight. All in all Texas is a diverse place to grow grapes and to make fine wines. I hope this brief synopsis helps you to understand a bit more about our local industry and what makes our two biggest AVA’s so unique, fun and interesting. 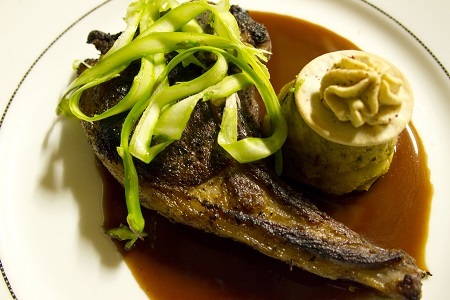 We held our first wine pairing dinner on January 31st - what an incredible Vina Vita event! 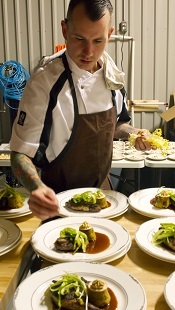 Chef Chris Cook, the co-founder of the San Antonio Chef Cooperatives, delivered an incredible multi-course dining experience filled with creative flavors, textures and beautiful presentations. 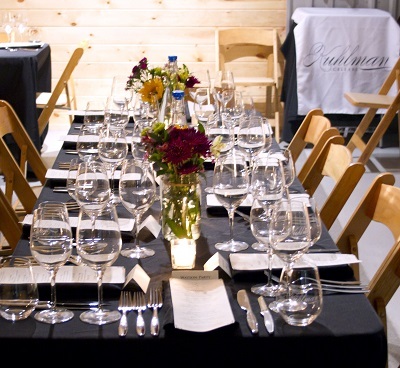 Each course was perfectly paired with a different Kuhlman Cellars wine resulting in gastronomy harmony! 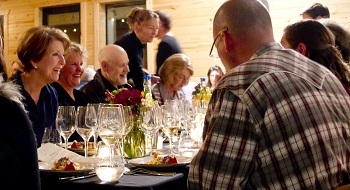 To match the elegance of the food, the dining experience was further heightened by holding the reception in our production and barrel facility and dining in the tasting room. Of course, our awesome team was there to ensure each guest was served and attended to without want of anything. We intend to offer these Pairing Dinners quarterly as we rotate the wine tasting pairing menu with the season. Therefore, please watch for the next dinner in April when we announce the 2015 Spring Pairing menu. I’ll wrap up now, but please enjoy the short video and selected pictures from the event. Field trip to Kuhlman Creek! On a bitter cold winter day, some of the Kuhlman Cellars team, including myself, were walking the vines at the Cobb Family Vineyard. It was a company field trip of sorts and I was excited to finally step foot on the soils of the family "farm". This is where the winery name was born, for Kuhlman Creek which runs through the property and feeds into the Pedernales River when heavy rains fall. During our trip the sky was grey, and the vines had just begun their long winters slumber. Green leaves with hints of red and gold were clinging from the hard worked vines. 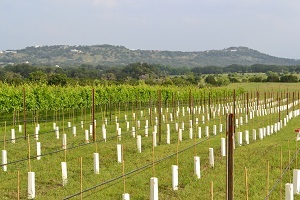 The 1 acre test block has been a solid experiment over the last few years of how several grape varieties grow on the family property, just north of Fredericksburg, Texas. The vineyard presently contains 9 different grape varieties. This specific piece of land is blessed with terroir conducive to protecting the vines from hail and late spring freezes. Hills to the north have proven to disrupt the worst of severe Thunderstorms, and downward sloping terrain to the south allows cold air during the late spring to flow through and away from the vineyard. This is especially important in protecting our lovely Viognier from having her gentle buds frozen in late March and early April. 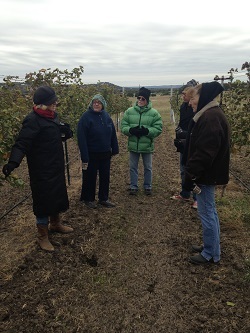 The intimate tour of the property that day was given by Diane Cobb, our vineyard matron. I hesitate to call her a vineyard manager, because the love she shows each and every vine, is much more motherly than managerial. There is a special estate field blend from the first harvest currently in barrels here at the winery structured solely from the fruit sourced from the Cobb Family Vineyard. This limited release wine will be something to look forward to in a few years once released. This wine will express the unique nuances of the terroir, which is instrumental when it comes to the complexity and individuality of wine. We invite all of you to come experience the splendors of terroir with each of our carefully made wines at Kuhlman Cellars. Each one tells its own story of the dirt, rainfall, sunlight and wind of that particular growing season. 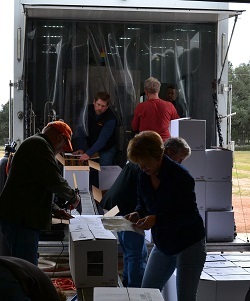 It was a team effort as we came together to bottle three new wines yesterday, the first bottling run in our new facility! These wines are all uniquely beautiful and we will tell you more about them in the coming weeks. For now, we can share about the Texas Merlot: The Texas Merlot is a very nicely balanced red and is the same Merlot which forms the backbone of the 2012 Texas Red. We expect to release this wine first among the three. Unfortunately, we only bottled about 40 cases, and will only be releasing about 30 cases. Therefore, this special wine will first be allocated to the wine club and if any remains after their allocation period, we will offer it in the tasting room. As a teaser, please take a look at the beautiful label I've posted below! This bottling run is also special for us, as it is the first bottling done at our new production facility. We backed up the bottling truck and everything worked perfectly! Bottling is a fun, but tiring day – we start with the wine ready in the tank(s) and cases of new, empty bottles. Then, everything progresses through the bottling truck and then the bottled wine with labels, corks and foils all perfectly applied come out the other side. Viola! The important part of bottling is having the patience to let the wine rest sufficiently before release. This is sometimes the hardest part, because everyone is so excited to have it “finished” and the bottles all look so pretty and ready to go. But you have to wait and let the wine recover from the bottling process—it doesn’t like to be pumped around, pushed through nozzles, exposed to oxygen and then sealed in the little bottle space! Stay tuned for the release announcements. We've begun the earth works for the new estate vineyard! There are several steps taken to put the vineyard in, including several which happen before we ever plant a vine. Before we begin, we layout the vineyard blocks and agree on the orientation of the rows and the placement of the irrigation pipes. Generally, we want the rows to run north / south so as to get the best sunlight as the sun moves from east to west. Irrigation lines need to account for elevation shanges to ensure each vine gets the same amount of water - we don't want only the vines at the bottom of the rise to get water! We start the land preparation by eliminating whatever is currently growing on the site. For the last ~20 years, the estate pasture was cultivated for coastal hay production. Coastal is a durable and resiliant grass and it handles period of drought by going dormant and then waking up once rains come. This means the roots are strong and well developed. Once the coastal is eliminated, we rip the soil to fragment it and provide air for the to-be-planted vines. This involves running a large dozer over the ground and pushing long ripping blades into the earth to "rip up" the soil. We captured a short segment of this ripping in action in the video below! The next steps include installing the trellising, running the irrigation lines and planting cover crops. All of this has to take place prior to the vines planting in the late spring. Stay tuned and come visit to watch as we progress through the establishment phase in preparation for planting the first vineyard blocks next spring.